Here at Anna Ione Interiors we love to try new things. We keep a close eye on what is new and exciting in the world of Interior Design. Right now it is really popular to have a mixture of fabrics on one window treatment. This can be done with an over-lay or the fabrics can be sewn together. 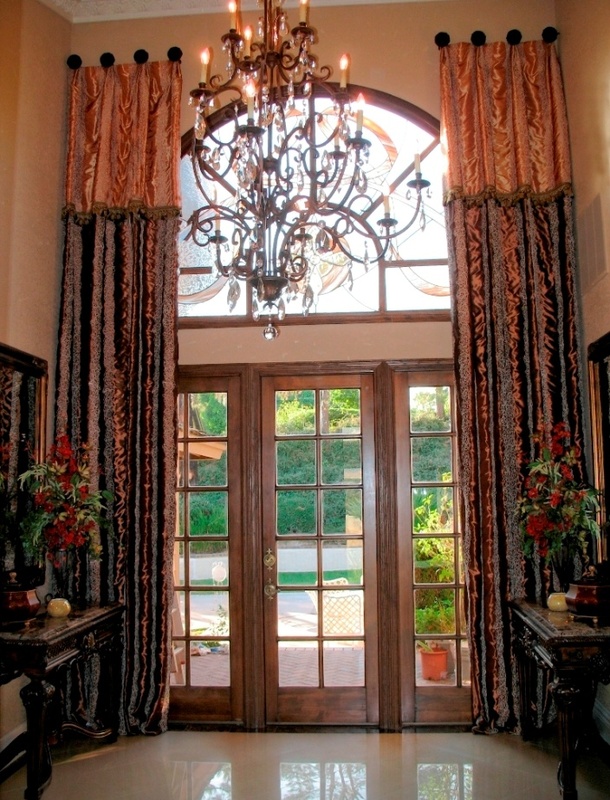 This is one of Anna’s designs using two different fabrics on a beautiful grand entrance. The look is contemporary and elegant. This is an over-lay design; the brown polyester fabric is a panel in itself and the top fabric is a separate piece lying over the brown panel. 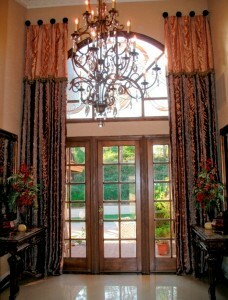 Drapery designs can tie together all of the unique elements of the room. If you enjoy reading design magazines, you may have noticed that design today is all about textures. Mixing a variety of fabrics, patterns, and styles really makes the room come to life. What is Contemporary style and how can you get the look? 2013 Colors of the Year!